For those of you that follow me on social media, you will remember how excited I was in the lead up to the release date of Roller Lash by Benefit! (February 27th 2015, to be exact). So what’s all the hype? I wanted to show you REALLY how well this works on YummoMummo herself. You can be the judge and decide for yourself. 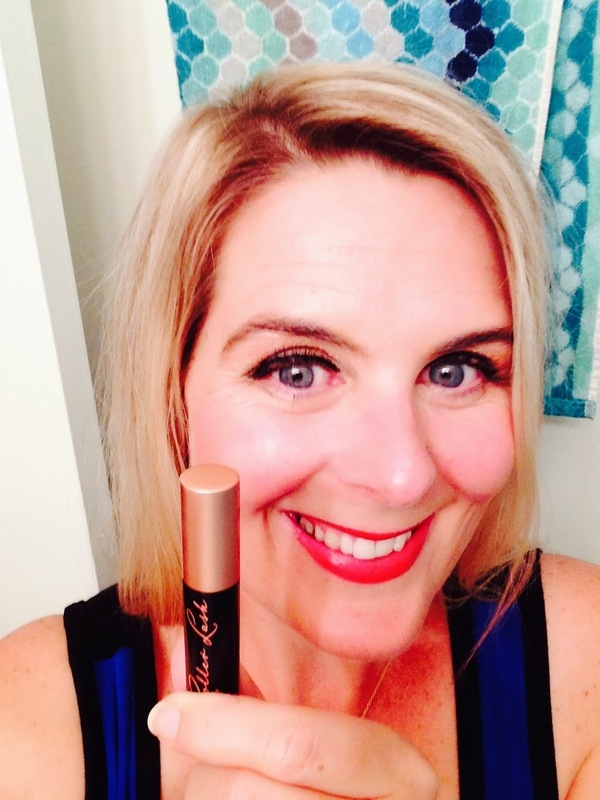 As www.benefitcosmetics.com says “It’s a roller for lashes! The eye opening Hook ‘n’ Roll brush grabs and separates, lifts and curls….. while the instant curve-setting formula holds for 12 hours. It’s easy to remove, contains Provitamin B5 and Serin, ingredients known for their length-conditioning benefits. Water resistant and ink black”. I received my Roller Lash sample size in my monthly Birchbox subscription. This gave me a great chance to try it out before paying full price. Birchbox always surprises me in how they know EXACTLY what I want. If you want to be a part of Birchbox fabulousness, click my referral link HERE. When it comes to your lashes, it is uber important that you use a good quality product. Treat your lashes like your hair – if you want them to stay long, luscious and full, use good quality mascaras and spend the few extra dollars on a great conditioning mascara. For super curl AND length, apply Roller Lash first to curl and lift lashes, and then layer it with They’re Real! lengthening mascara on top. Can you imagine the drama? If you want to read about two more awesome Benefit products, They’re Real Mascara and Push Up Gel Liner, click my past blogpost HERE. So, what do you think -YAY, NAY or MEH? Leave me a comment below with your choice? I read and respond to ALL comments. *Disclosure: I am not a trained photographer nor trained in how to pose for photos, I am just a Mum trying to share some insights and inspiration with you. In being truly authentic to my cause, I have used my own clothes and used myself in the photos whole-heartily. Enjoy! Love how it looks on you! I recently got it and have been testing it and love it! The mascara makes a huge difference. It's very nice. The packaging is superb too. Do you think it's worth the original price? Birchbox is more expensive where I live because of shipping & such. Hi Sarah, the price is about $24 in the USA and I think that's reasonable for a good quality mascara. As I said, it's important to invest in a product that is going to condition your lashes to help them stay strong and healthy. Thanks for reading and commenting. Personally, I think this looks great on you. It looks natural, as it should. I never like the look of the mascaras that look like a tarantula on your face. lol. Great review!